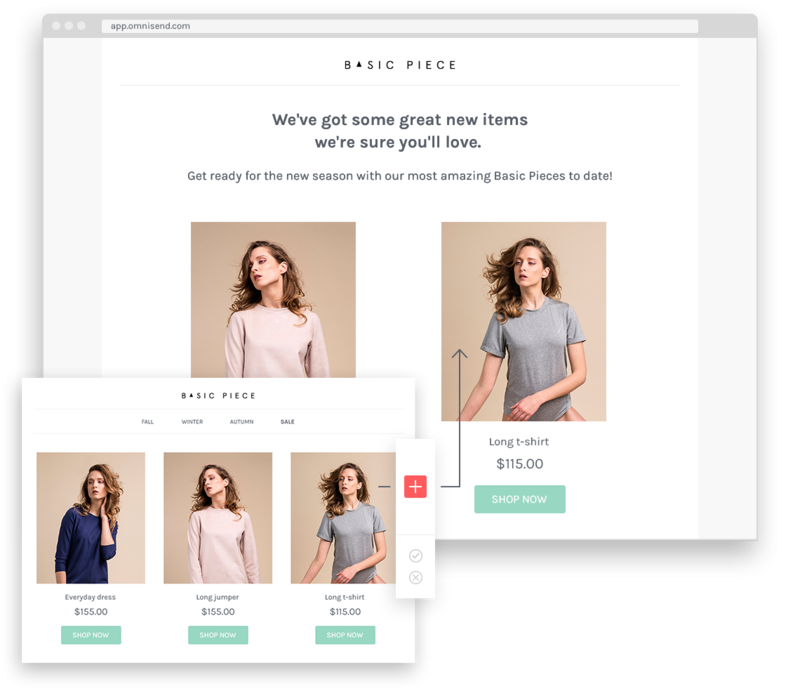 Omnisend is completely integrated with Shopify and a top rated app in the Shopify store, and that deep integration will allow you to do everything you were already doing with Mailchimp, and way more. 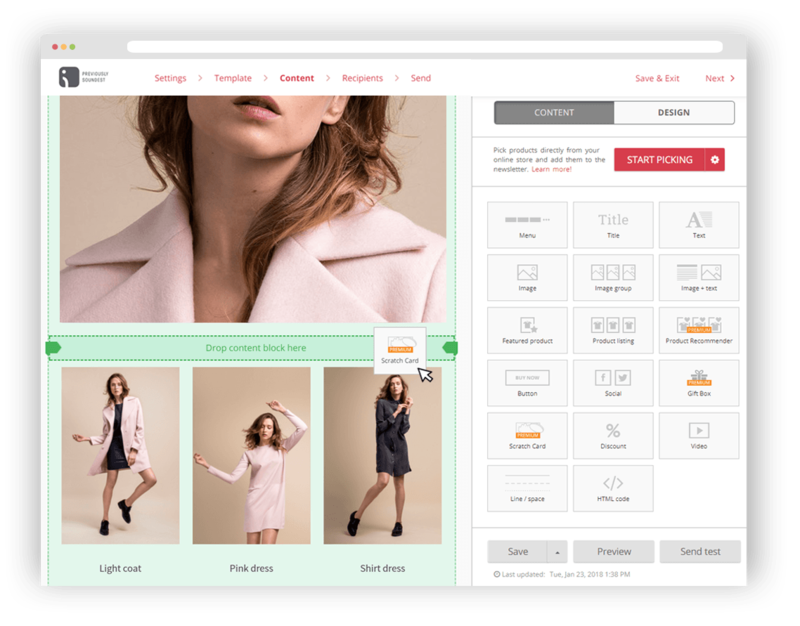 While Mailchimp and Shopify have gone hand-in-hand for many years as the standard for email marketing and ecommerce platforms, this will no longer be possible without the native integration between the two. Luckily, there’s an alternative that has the ease-of-use that Mailchimp offered for email marketing, plus more features than Mailchimp ever offered: Omnisend. Omnisend’s email marketing platform makes creating beautiful campaigns easier than ever before. If you’re already familiar with Mailchimp, you’ll feel right at home using Omnisend’s visual composer. 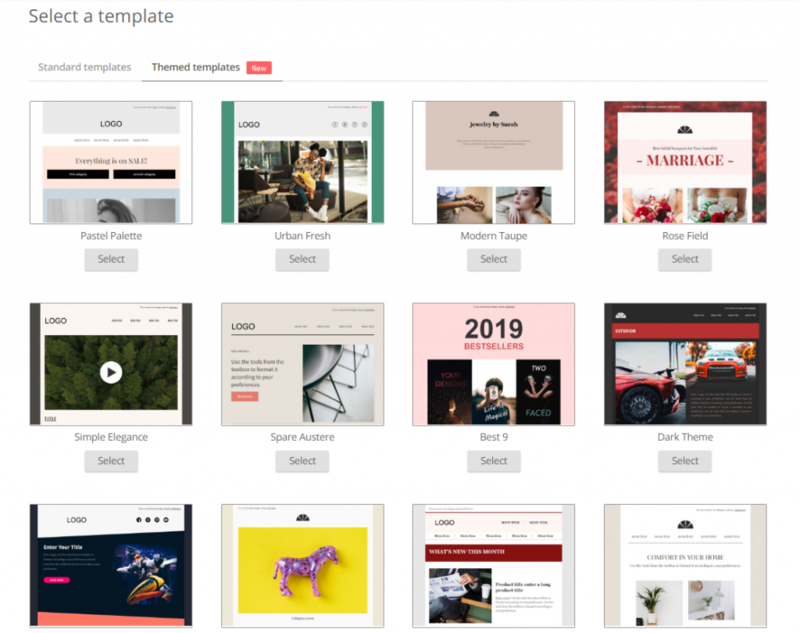 Whether you want to use a pre-built template or create your own amazing email template, Omnisend makes it easy to do so. At Omnisend, we love ecommerce, and it shows. We’ve developed an automatic product picker that will import products directly from your Shopify store into your email campaign with a simple click and drag. No more rewriting your product copy or manually importing each and every product photo ever again! With Omnisend, you can make your email campaigns more dynamic with special gamified elements for discounts. Want to offer a gift to your best customers? Why not do so in a virtual gift box? Your customer will simply click to open the box and receive their discount. With Omnisend, you can also create discount codes that will be unique to your email campaign. All you have to do is simply drag the Discount Content Block into the perfect spot of your email campaign, and voila. A custom discount code that will automatically work in your checkout. Email blasts are a thing of the past. Your customers are looking for personalization, and Omnisend can help you give it to them. Campaign engagement: how your customers engage with your campaigns, if they’re active, or inactive, etc. 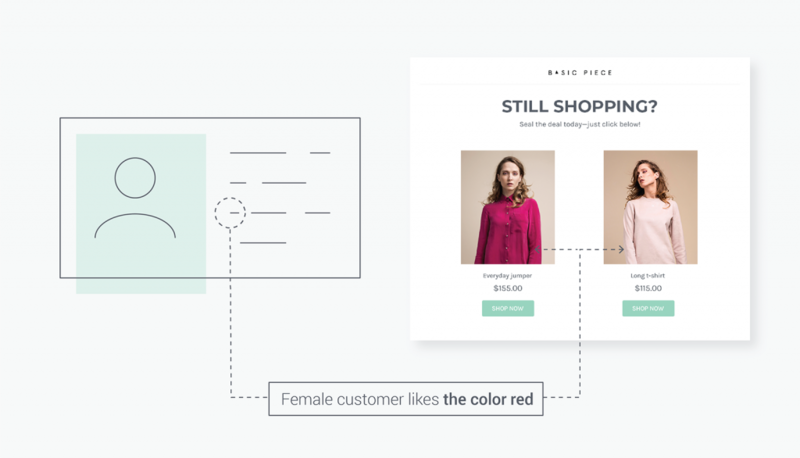 Shopping behavior: set up automatic triggers based on how your customers shop so you can send targeted messages no matter where they are in their customer journey. This smart segmentation allows you to layer your segments for even more precise targeting, keeping your email campaigns relevant, and boosting your ROI. What’s more, you can even add each of your segments to Google Customer Match and Facebook Custom Audiences for easy retargeting of your customers’ behavior. The best part about Omnisend is that you don’t have to create each campaign manually. 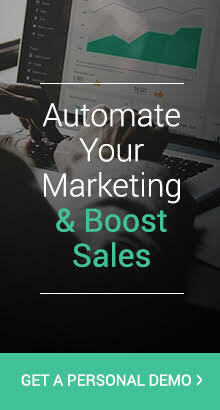 Using their sophisticated marketing automation means you can earn extra revenue on autopilot. Omnisend even offers pre-built automation workflows so you can just click to customize and set them up in a matter of minutes. 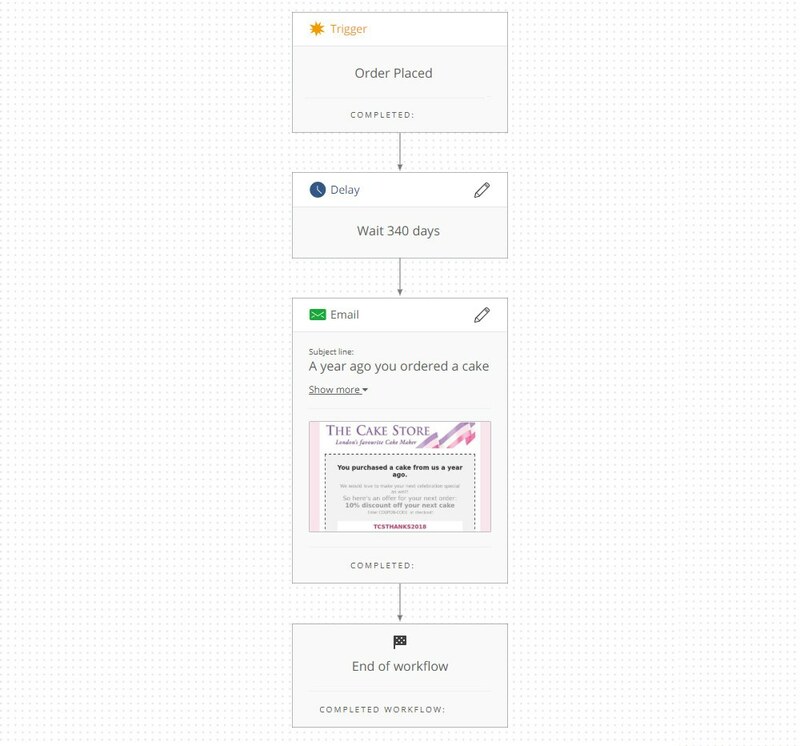 These visual workflows can be as simple or as complex as you want them to be. Whether you want to welcome a customer to your Shopify store, bring them back to an abandoned cart, or nurture your relationship with them, Omnisend’s automation workflows have you covered. Unlike Mailchimp or any other email marketing provider on the market, Omnisend allows you to create an omnichannel experience for your customers. In fact, with Omnisend, you can add several channels into the same automation workflow: email, SMS, web push notifications, Facebook Messenger, WhatsApp, Viber, and many more. With Omnisend, you can give your customers the choice of what channel they’d like to use for their notifications, giving them even more opportunities to engage with your brand. And each of these automation workflows and messages can be built with the same easy-to-use drag and drop builder. Automation is complex, but using it doesn’t have to be. You’re right. We’re biased. We love our product almost as much as we love our customers. But our customers aren’t biased, and the way we treat our customers is why we have thousands of 5-star reviews across G2Crowd, Capterra, and the Shopify App Store. In fact, we’ve also made it into G2Crowd’s Top 50 Products for Marketing 2019 and they list us as the #1 Easiest to Use Marketing Automation Software. Our customer-centricity and dedication to making omnichannel marketing automation accessible is why we’ve received the customers we have. They love us, and we think you will too. Step 1: Sign up for a new Omnisend account and connect your store if you haven’t already done so. We’re launching webinars twice a day to help you get migrated from Mailchimp to Omnisend. These webinars will walk you through a full tutorial for migrating your subscribers from Mailchimp to Omnisend. Or check out more info on our migration services. For more tips on making the switch, here’s how to preserve your sender reputation. I have a shopify website. I just deleted Mail Chimp. How do I add Omnisend and receive the 50 and 20 discount? Hey Larry, thanks for your comment. 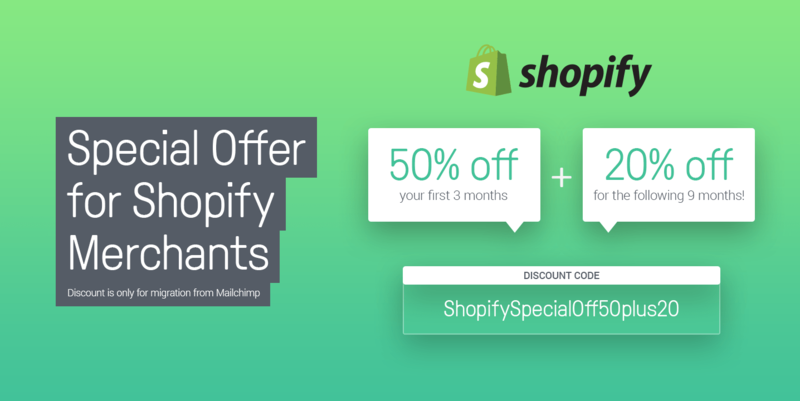 At the bottom, you see “Apply Discount Code” and you paste the code ShopifySpecialOff50Plus20. I hope that helps! If you have any other questions, feel free to reach out here or to support@omnisend.com. Edit: I’ve also added this tutorial to the article in case anyone else has questions. We currently are using MailChimp but are having a new Shopify website built. We have just over 2000 on our mailing list (since GDPR). What would the cost for us to move to Omnisend be? I would like to know the cost as per the offer and then the ongoing cost. Happy to pay monthly or yearly. We tend to only send one email a month – but sometimes more. Thanks for reaching out! It depends on what you’re looking for. If you want simple email marketing, we have a free plan that allows you to send up to 2000 emails per day and 15,000 per month. 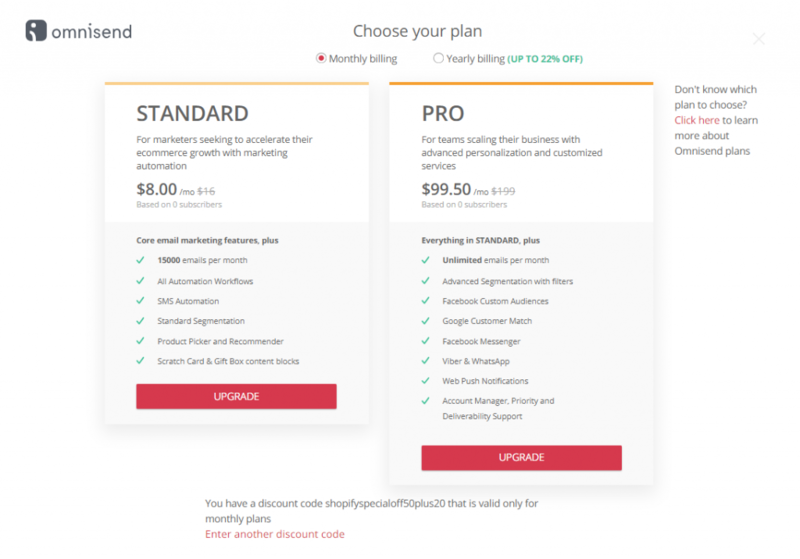 If you’re looking for more automation and more features, you can start with our Standard Plan, which starts at $30 per month for 2000 subscribers. The Standard plan is probably a great choice for you, because you can add different modules from the Pro plan and really customize your Omnisend experience. For more information on our pricing, feel free to check out the calculator on our pricing page. 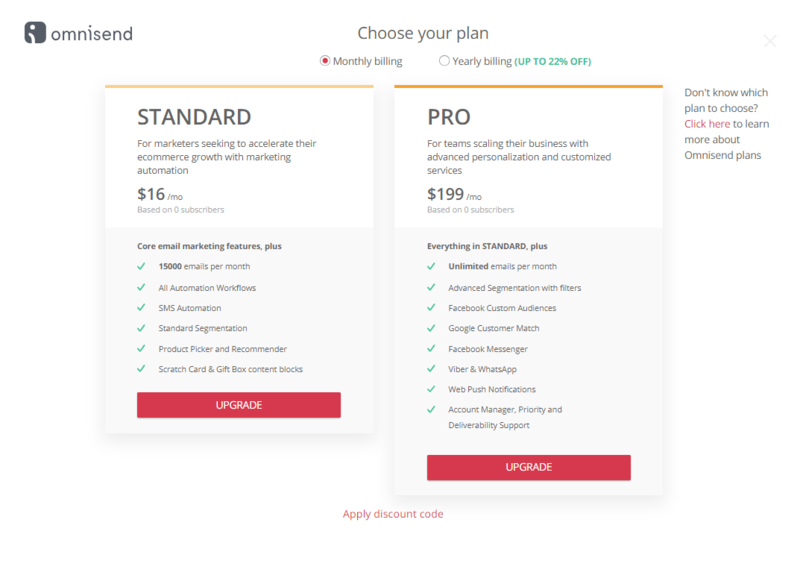 Oh yeah by the way- if you end up using the discount code for Shopify merchants coming from Mailchimp, the Standard plan would be $15 for you for the first 3 months, and then only $24 for the rest of your first year. My current website theme offers a nice sign up subscribe pop up and I want to continue to use that. I just signed up for Omnisend but realized that it says you can only use your sign up form for the automations? Is there anyway to link those subscribers automatically who signed up from the form on my website? Thanks for reaching out! There’s probably a workaround you can do. Want to reach out to support@omnisend.com? They should be able to help you out. I currently run a Shopify store (in English) and manage marketing for a Japanese company. 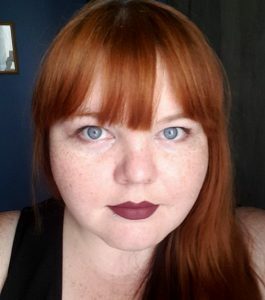 I’m planning to move my store over to Shopify from another platform too. I use Mailchimp for both. Can I set up separate “clients” in my account with shared image library and email templates? Or do I need to set up different accounts? (i.e. increasing my fees). Thanks! (btw, I heard a great podcast iv on E-Commerce Masterplan with one of your team….that’s how I heard about you). Thanks so much for reaching out! So right now we don’t have a master account available, however, this is actually going to be launched before May 14th so you won’t have long to wait! As of right now, we have multi account users with access to individual accounts. Contact us at support@omnisend.com and I’m sure we can work something out for you in the meantime.